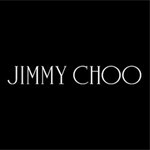 JIMMY CHOO brings another elegant evening of shopping and fun, overlooking the gorgeous vistas from the top of The Henderson Beach & Spa resort. 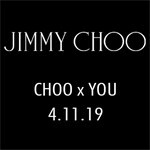 Shop the latest fashions from JIMMY CHOO while you indulge in passed hors d'oeuvres, bubbly, wine and a special Choo-tini. Customize your own shoe on site with Swarovski crystals. 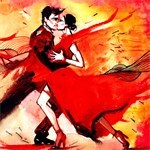 To remember this incredible event, have your new CHOOs drawn in style by the onsite illustrator. . Ticket price includes: complimentary valet parking, all food & beverages, fabulous door prizes and a JIMMY CHOO swag bag for each guest. 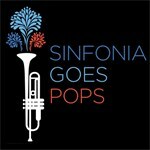 A portion of the sale proceeds benefit Sinfonia Gulf Coast and its music education initiatives. Crescendo! 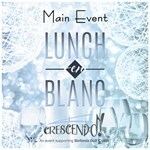 is an exciting cultural extravaganza that benefits Sinfonia Gulf Coast and its music education and community engagement initiatives.This year's theme is Lunch en Blanc: enter into an elegant setting of white-inspired decor and fashion. This energy-infused experience will celebrate the cultural and culinary arts by showcasing world-class vintners, expert spirit purveyors, amazing auction items, and a musical performance by Shades of Bublé. This three-man tribute to Michael Bublé brings all of his hits to the stage in a very high-energy performance. Enjoy reserved table seating, hors d'oeuvres, full, seated lunch and an all inclusive afternoon of incredible fun! Complimentary valet parking included. Tables of 10 available by calling the Sinfonia office 850-460-8800. 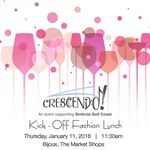 Help us kick off Crescendo! 2019 in style at Bijoux Restaurant + Spirits located at The Market Shops. Enjoy an incredible lunch prepared by award-winning chef/co-owner Jack McGuckin, sip elegant wines provided by Pip Wines of Sonoma, and indulge in delectable desserts, all of the must-have accessories of the season from The Jewel, the latest fashions modeled by Today's Boutique and Velia Lala Designs, door prizes and raffle items, plus much more. Crescendo! benefits Sinfonia Gulf Coast and its music education programs throughout Okaloosa and Walton Counties. GALA EVENT feat. Jane Lynch in “A Swingin’ Little Christmas"
Jane Lynch is an Emmy and Golden Globe-winner for her portrayal of Sue Sylvester on "Glee," and is currently the two-time Emmy Award-winning host of NBC's "Hollywood Game Night." Jane brings along TV-star colleagues Kate Flannery, Tim Davis, and The Tony Guerrero Quintet for the jazziest musical holiday concert you’ll ever experience. The Henderson will be transformed in to a festive, winter wonderland. Ticket price includes valet, VIP reception, dinner and performance. Special room rates are available. In light of the recent tragedy faced with Hurricane Michael, Sinfonia has decided to transition the first performance of the season into a free community concert. Attendees are encouraged to bring donations of batteries of all sizes, in efforts to recharge those affected by the storm. TICKETS ARE STILL REQUIRED. Praised for her engaging stage presence and performances that are technically and musically brilliant, Hanzhi Wang joins Sinfonia for the first Silver Sands Premium Outlets’ Classical Connections concert of the 18-19 season, where she will perform Piazzolla's "Aconcagua: Concerto for Bandoneon and Orchestra." 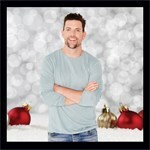 Also on the program are Jennifer Higdon’s “Dance Card,” and “Serenade for Strings in C major, Op. 48” by Peter Ilyich Tchaikovsky. Piazzolla: Concierto para Bandoneón y Orquesta "Aconcagua"
Enjoy the best view in Grand Park for Sinfonia Swings on the Boulevard featuring members of Sinfonia and the Joe Gransden Big Band! 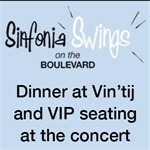 Includes pre-concert, 3-course prix fixe meal at Vin'tij Food & Wine and reserved VIP seating adjacent the stage during the performance. Cash bar and gratuity not included during dinner. 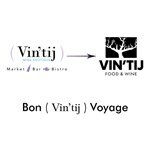 Patrons may purchase beer/wine from Vin-tij to take to the concert or bring your own coolers. Cups, water and wine openers provided during the concert. Please note that TOMMY BAHAMA CAFE is CLOSED due to unforeseen construction. The concert will still be in the green space between Tommy Bahama and Cantina Laredo. Please contact the Sinfonia office at 850-460-8800 with seating-related questions. 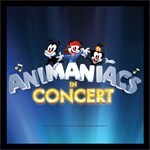 PLEASE NOTE THAT THE CONCERT BEGINS AT 7:30 PM IN GRAND PARK. Limited seating is provided, but please feel free to bring your own chairs, blankets and coolers. Bring the entire family to this free community concert and enjoy the sounds of Sinfonia Gulf Coast under the palms and stars in the amphitheater at Alys Beach. 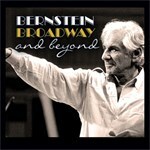 Enjoy light classics, all of your favorite songs from pop to broadway and a patriotic Stars & Stripes fireworks finale. Bring your low back chairs and blankets. Food and beverage available for purchase. Jimmy Choo brings another elegant evening of shopping and fun, overlooking the gorgeous vistas from the top of The Henderson: a Beach & Spa Resort. Be among the first to see the Pre Fall 2018 Collection, and shop the latest fashions from Jimmy Choo while you indulge in passed hors d'oeuvres and delicious beverages. To remember this incredible event, have your new Jimmy Choos drawn in style by the onsite illustrator. Ticket price includes: complimentary valet parking, all food & beverages, gift cards to The Henderson to be used during 2018: $40 spa credit | $25 food & beverage credit, fabulous door prizes and a Jimmy Choo gift bag for each guest. A portion of the proceeds benefit Sinfonia Gulf Coast and its music education initiatives throughout Okaloosa and Walton Counties. 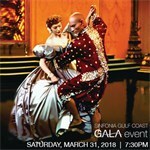 Sinfonia Gulf Coast brings the regional premiere of some of America’s most beloved movie musicals to the Emerald Coast. Iconic film clips, including "The King & I", "South Pacific", "Oklahoma!" and "Carousel" on the screen, plus gorgeous live performances on stage, all accompanied by Sinfonia's full symphony orchestra with special guest vocalists Kristin Clayton and Bojan Knezevic. Conducted by Emmy winner, and five-time Emmy nominee George Daugherty. Gala table seating, single seating, corporate sponsor tables and full tables of 10 are available. Rodgers & Hammerstein is a trademark used under license from The Rodgers & Hammerstein Organization on behalf of the owners. “Twentieth Century Fox,” “Fox,” and their associated logos are the property of Twentieth Century Fox Film Corporation. The final concert of the Silver Sands Premium Outlet's Classical Connections Series welcomes violinist Corinne Stillwell to perform alongside Sinfonia's principal musicians. 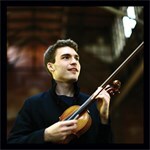 Stillwell, who is on faculty at both Florida State University and the Brevard Music Festival, joins us as guest concert master on Copland's "Appalachian Spring" (13-instrument version) and Mendelssohn's "Octet" and will be the featured soloist on Piazzolla's "Las Cuatro estaciones porteñas" (The Four Seasons). The superb acoustics in Grace Lutheran Church will be the pitch perfect backdrop for this performance. Crescendo! is an exciting new cultural extravaganza to benefit Sinfonia Gulf Coast and its music education and community engagement initiatives. 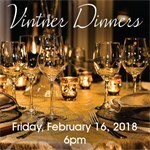 This energy-infused experience will celebrate the cultural and culinary arts by showcasing world-class vintners, expert spirit purveyors, amazing auction items, and an award-winning musical guest. Enjoy reserved table seating, hors d'oeuvres, full, seated lunch and an all inclusive afternoon of incredible fun! Complimentary valet parking included.. Tables of 10 available by calling the Sinfonia office 850-460-8800. Sinfonia’s Crescendo! 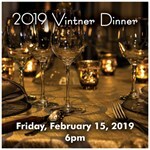 will feature multiple Vintner Dinners on Friday, February 16, hosted in elegant homes and venues throughout the region. Some of the country’s best vineyards including Aloft, Blackbird, Charles Krug, Calluna, Dunstan, Mario Perelli-Minetti, Sanglier Cellars, and Tournesol will be pouring wines. Culinary maestros include top chefs from the Gulf Coast region including: Nikhil Abuvala, Orion Cordoves, Chris Holbrook, Jack McGuckin, Brendan Spavey, and Wesley True. The Sinfonia team will call each patron to confirm which dinner they would prefer to attend following confirmation of their order. 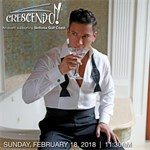 Help us kick off Crescendo! 2018 in style at Bijoux located at The Market Shops. 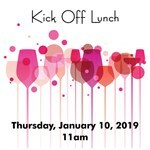 Enjoy an incredible lunch, sip elegant wines provided by Pip Wines of Sonoma, and indulge in delectable desserts, all of the must-have accessories of the season from Destin Jewelers, the latest fashions by Today's Boutique, door prizes and raffle items, plus much more. Crescendo! benefits Sinfonia Gulf Coast and its music education programs throughout Okaloosa and Walton Counties. 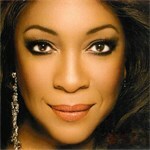 "A Rockin' Holiday with Mary Wilson of the Supremes"
Mary Wilson of the Supremes is bringing her larger-than-life vocals and amazing energy back to the Sinfonia stage for one ROCKIN' holiday concert! This "Rock and Roll Hall of Fame" inductee and multiple award-winning artist will have you dancing in your seats as she takes us on a musical journey with the songs that made her famous, as well as everyone's favorite holiday melodies. Sinfonia's full orchestra shares the stage with Mary and her incredible band for this magical concert of the season! **PLEASE NOTE: This venue is open seating within each of the Preferred & Choice sections. There are no assigned seats.